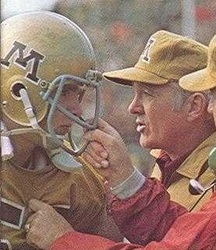 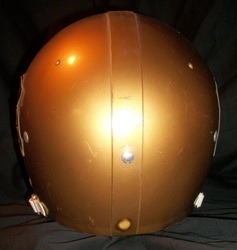 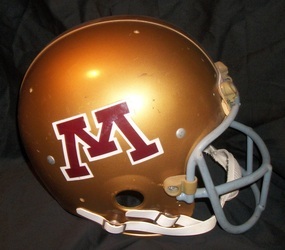 This era of Gopher football represents the first time the Gophers wore a true gold colored helmet. 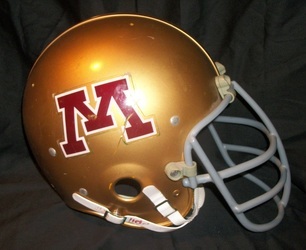 From 1972-75 the brick M was smaller than the enlarged M on the 1976 design. 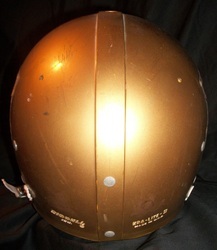 These were all produced by Riddell with the earlier models being of the Kra-Lite II suspension variety. 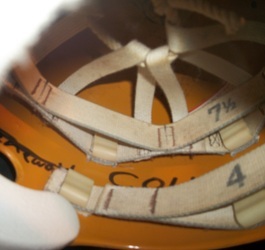 At some point there was the addition of the liquid filled pads. 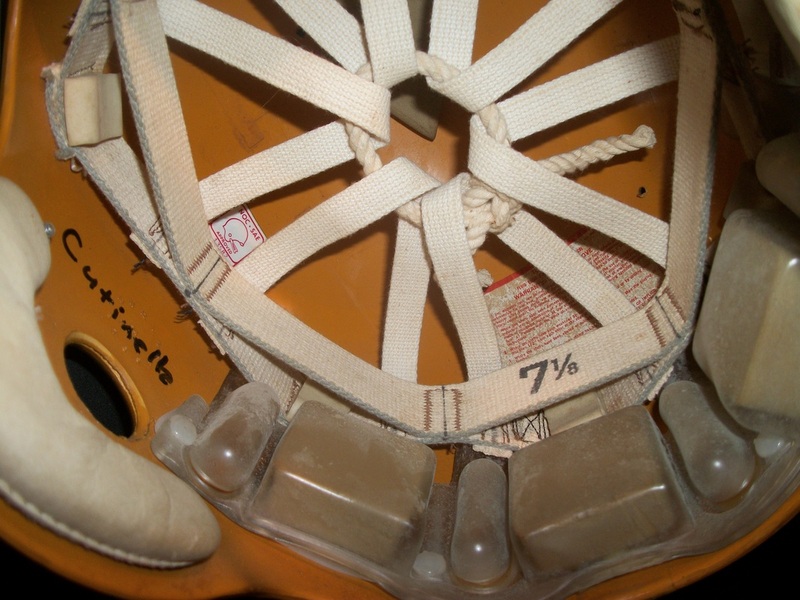 These pads were revolutionary at the time and meant to disperse the impact of the hit. They were filled with an anti-freeze type liquid so that the pads wouldn't freeze during the cold winter months. 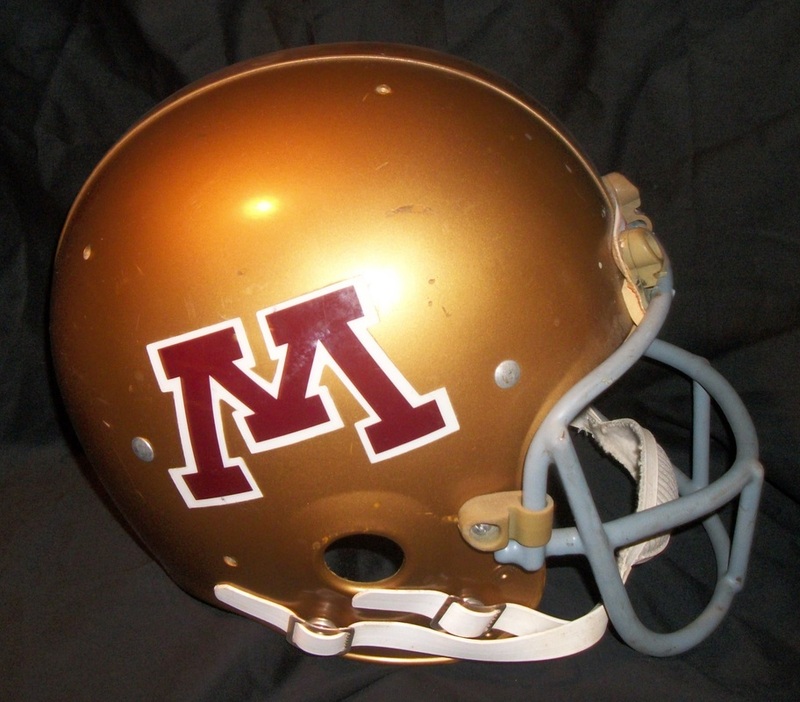 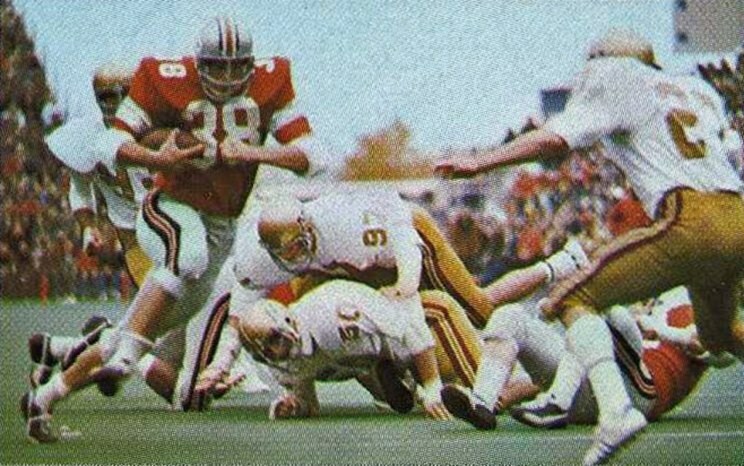 We have never seen the 1976 model helmet in person and would pay handsomely if we were offered one! 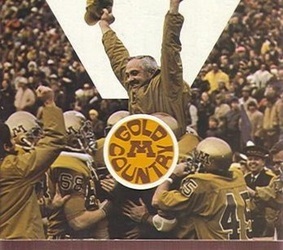 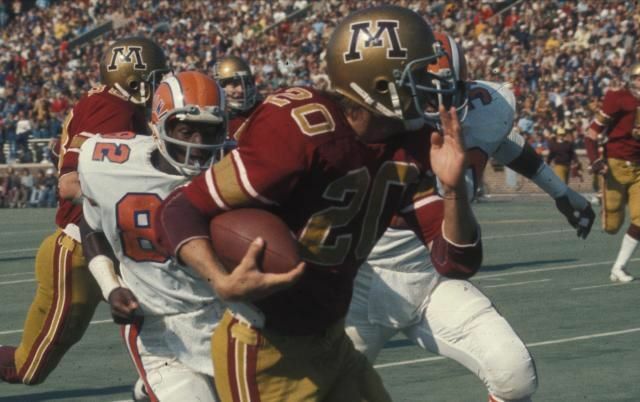 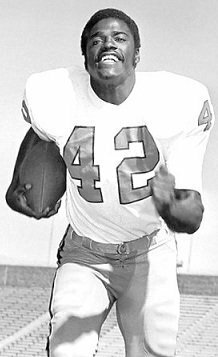 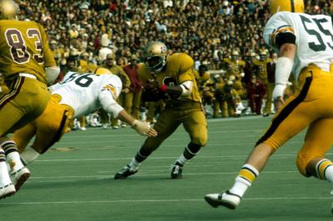 The early 1970's saw a throwback to the all gold uniform true to the name of Golden Gophers. The home uniforms during 1972-74 were gold jerseys with screened on numbers on front, back, and upper sleeves. 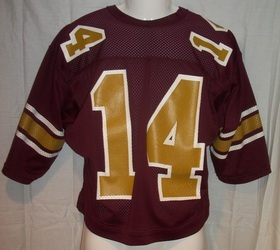 The numbers were maroon with a white outline. 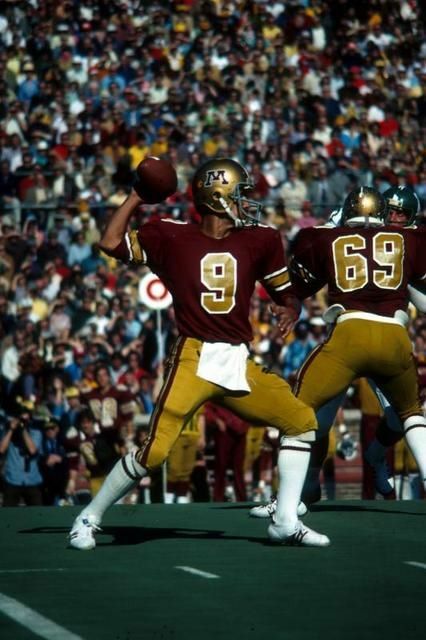 The pants were also gold with two maroon outer stripes, two inner white stripes, with a center gold stripe. The away jerseys were white with gold numbers, with a thin maroon outline. The socks were whie with two thick maroon outstripes, two thin inner white stripes, and a gold thick center stripe. 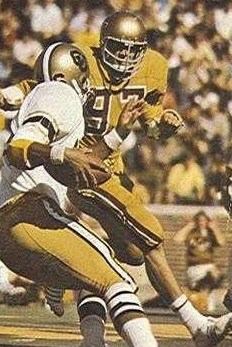 Some players wore all white socks as well. 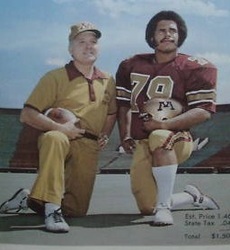 Both white and black shoes of varying brand were worn. 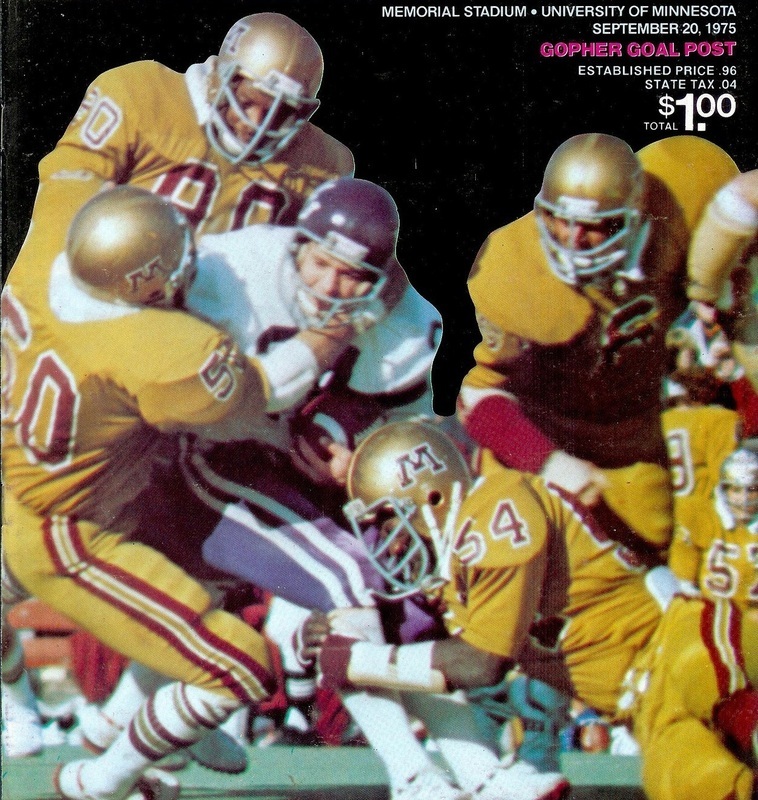 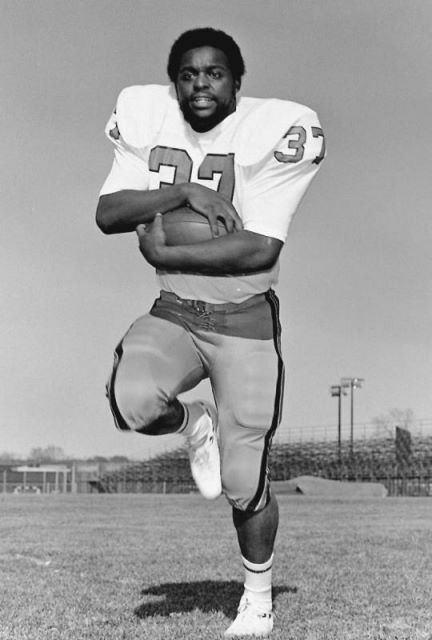 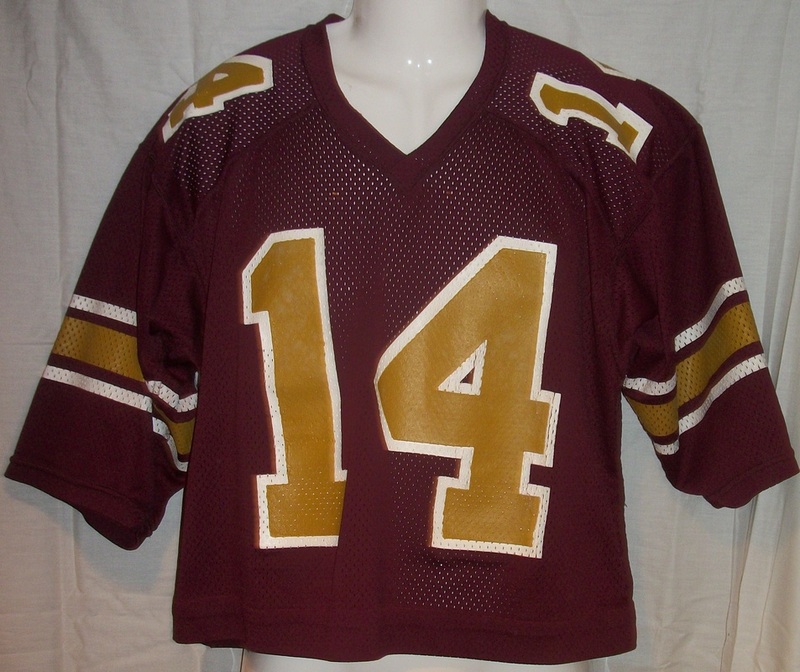 In 1975, the home jersey changed to a maroon jersey with gold numbers (with white outline) there were on front, back, and now moved to shoulders. These numbers were also screened on. The sleeves had a thick gold stripe, flanked by two thinner white stripes. 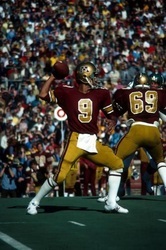 The same away jersey was worn during this era, but the socks changed to white with a think maroon stripe towards the top, or an all white sock. White shoes were worn during this era, although a few examples of blacks shoes can also be found. 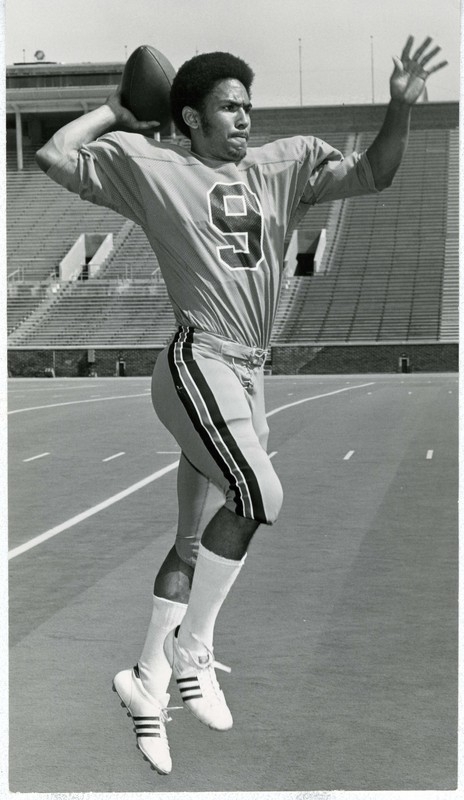 It's amazing how much inconsistency there was in uniforms until the late 1980s/early 1990s when the NCAA stepped in and slowly started to enforce stricter uniform standards. 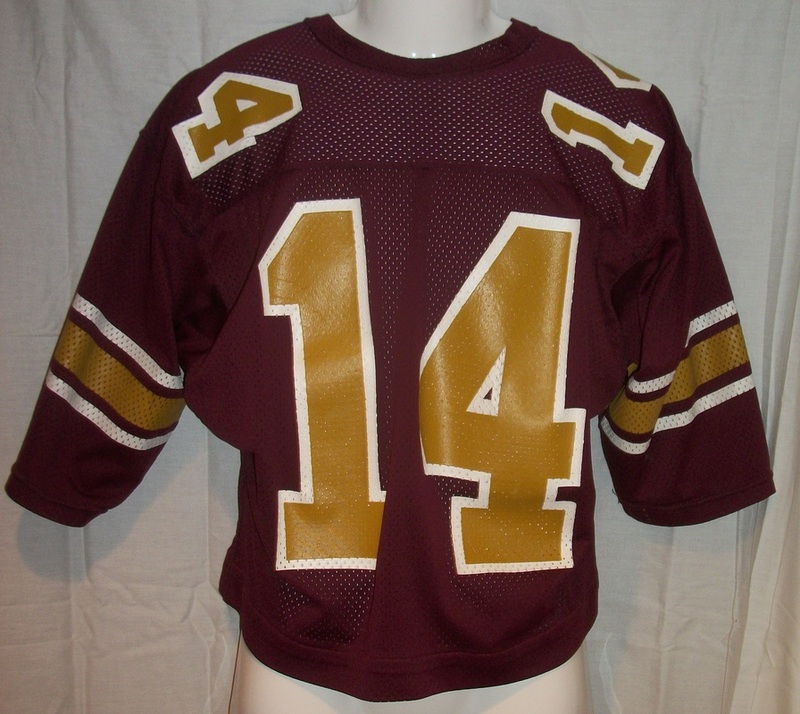 We only own one of the 1975-76 era home jerseys and none of the other models from the mid 1970s. Because of the Vietnam War, many of the helmets and jerseys from this era are very, very difficult to find.